Club Sports is an athletic and leadership development program that provides UO students with the opportunity to compete in a variety of team and individual sports and activities. Club teams practice, host games and events, travel to competitions throughout the US, and contend for national championships every year. Currently there are 43 club teams with more than 1,300 participants. 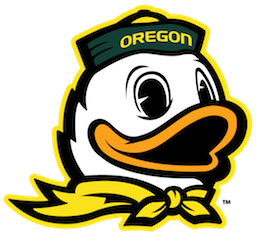 All currently enrolled University of Oregon students that pay the Incidental Fee are eligible to participate in Club Sports. Some teams accept new members throughout the year, while others have a tryout process before the season begins. Many teams also have additional eligibility requirements through their governing body such as academic standing and number of enrolled credits. The majority of our clubs rely on the support of family, friends, and donors to help cover the costs of their season. Please consider making a donation to a specific team or to the Club Sports Program Fund.